Shop DonJoy walking braces or boots for post-surgery support, stress fractures, metatarsal injuries and severe ankle sprains or shin splints. 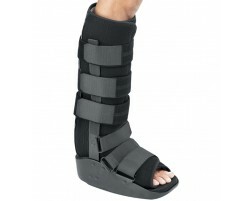 DonJoy walking boots provide comfort and support as you recover from your foot or ankle injury. Need replacement parts? Browse DonJoy walker replacement kits, straps, condyle pads and more.